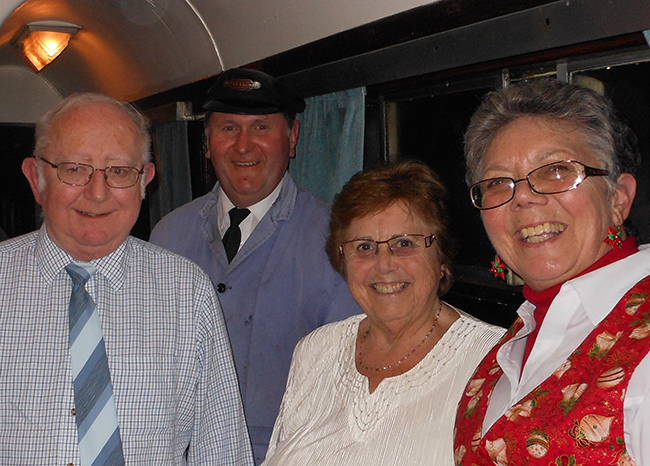 It is with great sadness that we have to announce that Gill Comben, a stalwart of the booking office and our Santa trains, died in Torbay Hospital this morning; 10th November 2013. We pass condolences on to Mike and the family. The photograph was taken at the award of life membership to Mike and Gill earlier this year.